"After Marlow, I just wanted to work with a few clients and relax a bit, but when Andrew Cilla (Luke Brown president and owner) approached me I was intrigued. He made a lot of sense and offered me the opportunity to do what I wanted, how I wanted backed by a firm with the best reputation in the business. The chance to work with Andrew and a staff of sales and support professionals second to none was too much to pass up". In keeping with the Luke Brown tradition, Phil offers experienced, independent broker representation for buyers and sellers helping save them time and money. Phil grew up in Amityville, NY on the south shore of Long Island, where at an early age, he learned to sail on the Great South Bay in locally designed and built Seaford Skiffs. This eventually led to racing Blue Jays, Thistles, Lightning and another local design and build, the Narrasketuck One Design. But his love of the water and boats started even earlier when, as a baby, his grandfather would take him for rides in the old row boat that had been custom made up in New Hampshire. It was powered by fancy new a Johnson 5hp Seahorse outboard. It was there, on Lake Winnipesaukee, he spent part of every summer at the family "camp" on the northeast side of the lake, a tradition that he continues today with his family. "From as early as I can remember my dreams always involved the water and boats and that has never changed. Knowing that helps remind me that everyone I deal with, whether buying or selling, is just working on their dreams". 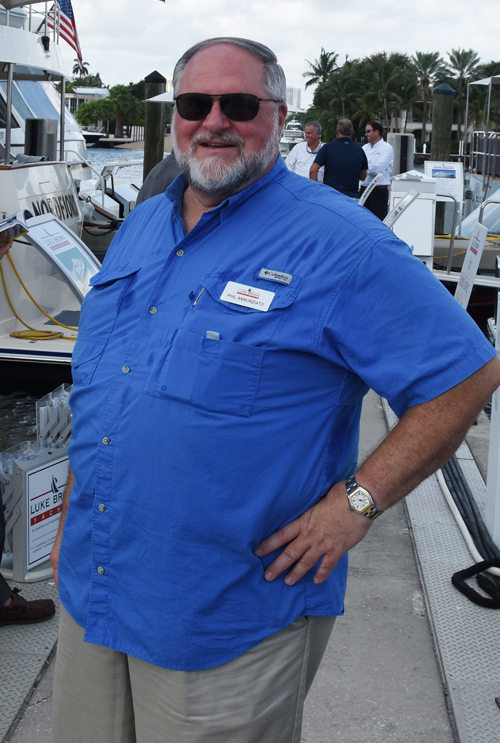 Phil prides himself in the fact that during his three plus decades in the business he has never sold anyone a boat. Instead, he has helped hundreds of people buy the right boat for them. That and his philosophy of every transaction being a "win/win" for buyer and seller, is probably the reason 70% of his business is repeat or referral. Phil lives in Bradenton on Florida's west coast with his family and the Braden River in the backyard. From there it is a short run to Tampa Bay, the "Gulf" and some of the best cruising and fishing in the world because, the dream lives on!